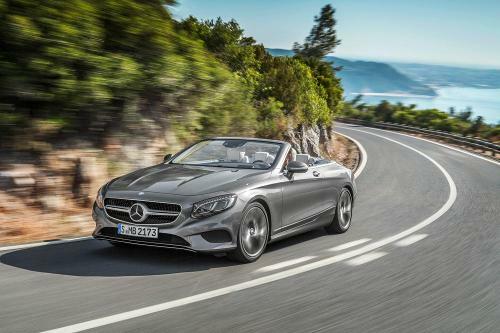 It feels like an eternity since we first set eyes upon this latest generation Mercedes-Benz S-Class, and yet here we are, a year and a half later, still unveiling new versions like the 2017 S-Class Cabriolet, the first Mercedes open top flagship four-seater in some 44 years. Slotting alongside the S-Class Sedan, the S-Class Coupe and the S-Class Maybach — along with the corresponding S63 and S65 AMG iterations — the S-Class Cabriolet, to be revealed in the flesh at this month’s Frankfurt auto show, promises to be the most luxurious soft top in its segment. Helping achieve that is a wealth of technologies like Airscarf; a concept that automatically adjusts the temperature around your head via vents and a heated headrest to ensure the wind in your hair doesn’t result in a chilly neck. 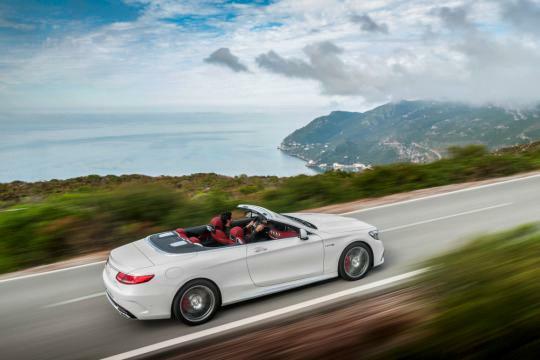 The Cabriolet also boasts a luggage compartment bulkhead and rear floor made out of magnesium and aluminum, maintaining the rigidity of the soft top as well as its modest weight (according to Mercedes, the open top weighs no more than the coupe). What’s more, the S-Class Cabriolet boasts a drag co-efficiency of just 0.29, making it incredibly slippery and thus, in theory (EPA estimates are not available), more fuel efficient. 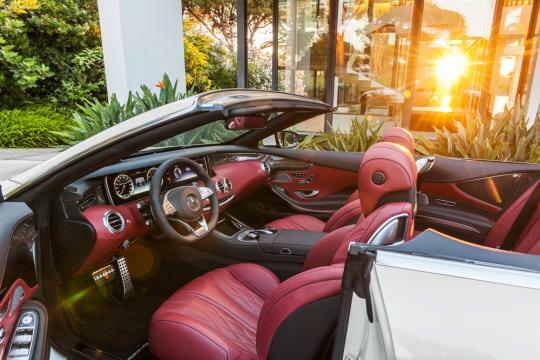 It’s also quiet, thanks to an acoustically-optimized three layer soft top, and best of all, the Cabriolet arrives with its own unique scent — Pacific Mood — that gently wafts throughout the cabin. Come Frankfurt we’ll see the S-Class Cabriolet in two models — the 449 horsepower S550 model and the burly 577 horsepower, 664 lb.-ft. of torque S63 AMG variant, the first featuring a 9-speed automatic transmission, while the latter — which hits 60 mph in 3.9 seconds and delivers the pinnacle of bad hair days — arriving with AMG’s Speedshift 7-speed automatic. 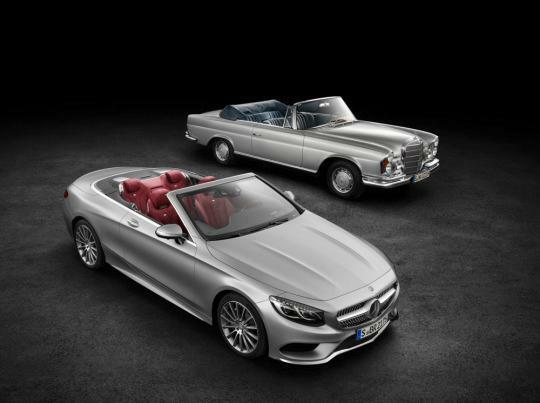 Pricing for all this open air madness is not yet released, but expect it to sticker considerably less than the 1971 280 SE 3.5 — the last of Mercedes’ open top flagships — which recently fetched $429,000 at auction.